Fantastic snow pants from Columbia's Titanium Range (they're a bit stiff), made with Columbia's own waterproof, breathable Omni-Tech polyester gingham Dobby fabric with 100% polyester Chamois Touch tricot lining. 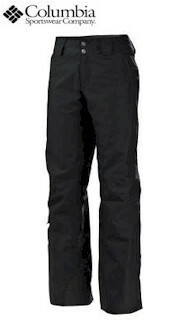 Features include: adjustable waist tabs, internal snow gaiters, radial leg gusset, zip pockets, inside security pocket, articulated knees, Active Fit cut. 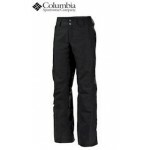 Columbia Canal Street Women's Snow Pants.